Save on a Small Stressless View Recliner with Ottoman and Start Relaxing Today. Make your preferred leather or fabric type and color by selecting from the pull down menu above, which is titled: "Select Leather or Fabric Type and Color". 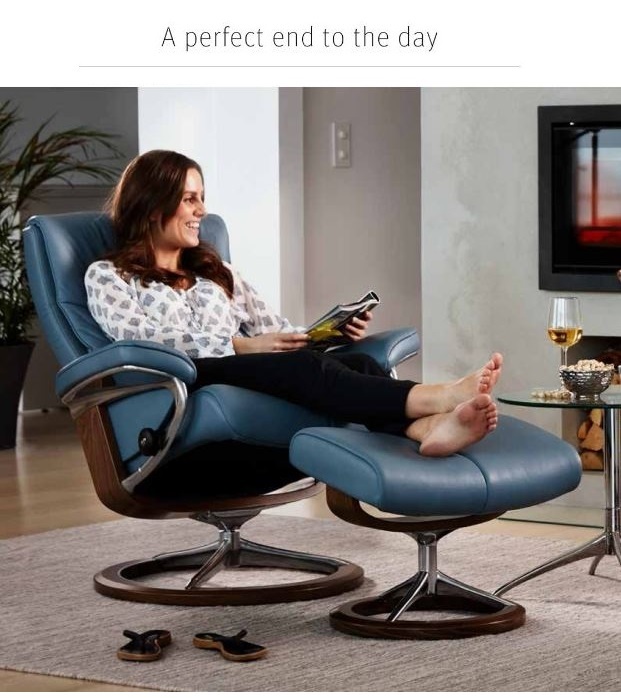 Enjoy Fast, Worry-free Delivery on a Stressless Signature View Recliner Medium with Ottoman. Start relaxing in your beautiful new View Medium recliner sooner with our Quick and Easy Shipping Methods. 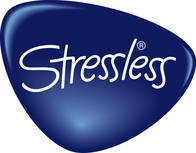 It's a great time of year to purchase from the amazingly comfortable, Stressless View line! This popular, modern recliner delivers exquisite head, neck and back support and the over-stuffed smooth, soft, cushioning allows you to sit undeterred for many hours on end. The Stressless View Medium recliner is among the most modern Stressless recliners available. Smooth and simple- Very comfortable. Arrived very quickly. Would order again.